"Seeking couple for whirlwind tour of famous southern murder sites. Share expenses." His riff on Southern Americana evokes swamps, alligators, midnight voodoo ritual, liquor running with fast cars and more. Good for the mythic night journey on that long stretch of highway. Drink deeply but with caution, you never know what lies on the road ahead. 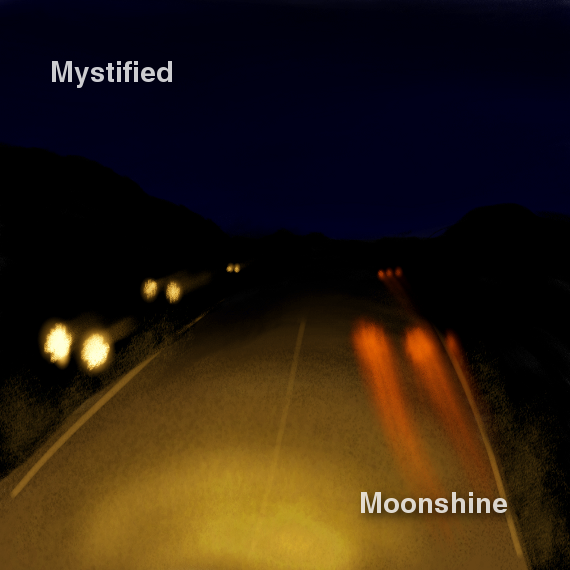 Find more about mystified at: http://www.mystifiedmusic.com. Sounds in "Swamp Shaman" provided by multi-genre artist Byron Kerman. Cover adapted from an image by fredcamino. A haunting mysterious twilight road trip. Drive your car and pay attention to signals and ghosts !